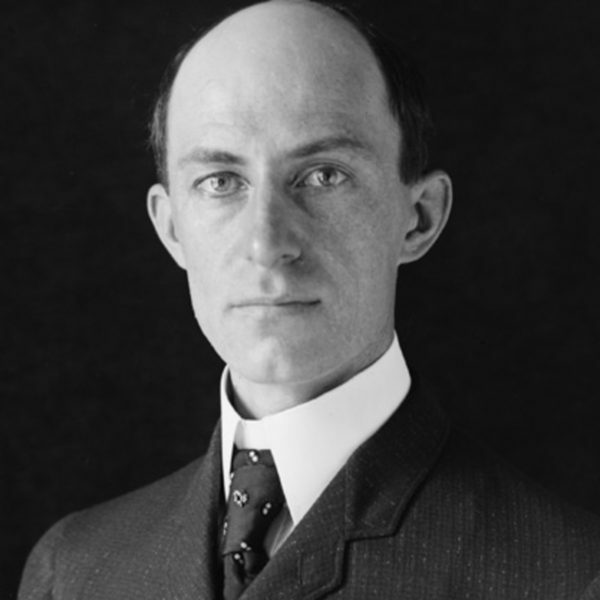 Home/Events, Society News/Happy Birthday Wilbur Wright! Today is Wilbur Wright’s 150th birthday. Wilbur was born on April 16, 1867 near Millville, Indiana. Wilbur was an inventor and his nickname was “Father of Modern Aviation”. Wilbur’s brother Orville was his playmate, co-inventor and business partner throughout his life. Wilbur and Orville lived in Dayton, Ohio most of their lives, but their most famous feat took place at Kill Devil Hill in Kitty Hawk, North Carolina. The Wright Brothers had their first successful airplane flight on December 17, 1903. Their Wright Flyer was the first powered, heavier-than-air machine to achieve controlled, sustained manned flight.